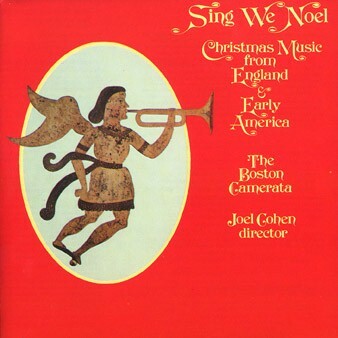 This entry was posted on Wednesday, December 25th, 2013 at 7:07 pm	and tagged with Boston Camerata, Childhood, Christmas, Family, Home, Music, Tradition and posted in Personal. You can follow any responses to this entry through the RSS 2.0 feed. Love you, Evan! Thanks for sharing this warm and beautiful memory. Merry Christmas, always! Thanks, Cynthia! So glad you and your family have been part of our Christmas tradition for so many years, as well. Thanks for the touching words at Christmas Evan. It’s as if we we in the room with you. Let the tradition forever continue on! My pleasure, Cathy. Stephen King, in his nonfiction book “On Writing,” talks about writing as a means of time travel, arguing that when it’s done well, it has the capacity to transport the reader to another time and place. I’m really pleased that I was able to transport you with this piece! Merry Christmas! Thanks for your comment, Sue. Really glad this story dredged up some pleasant memories for you!